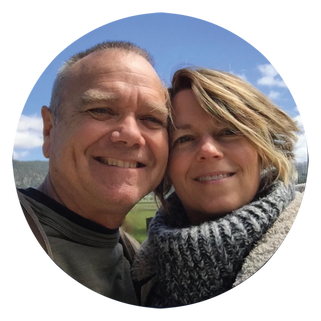 Anton Mizerak and Laura Berryhill have toured extensively, performing to acclaim at over 450 centers throughout the Western states and hosting events at their own music venue on Mount Shasta for hundreds of spiritual pilgrims. ​Mount Shasta musician Laura Berryhill is known for her lyrical voice. She works in a variety of musical styles, from early European to Celtic, new age and jazz. With a background in 17th-century Italian sacred music and a masters degree in music history, she continues to explore and compose sacred and spiritual music professionally. It's that time of year when our Unity family unites in celebration of the wondrous Christmas season. We'll dine side-by-side and share nostalgic stories and fond memories of years gone by, our history together. We'll bake the ham and turkey if you'll bring the side dishes. ​Sign up sheet is in the Social Hall. and free of need for medical care. Activate the sacred flame with in you. Let go and Journey with the sound vibrations of the crystal bowls & experience transformational alchemy. Let's come together for our 'Annual Thanksgiving Feast'. ​Experience the warm glow of friendship, closeness and loyalty that is shared among our community. 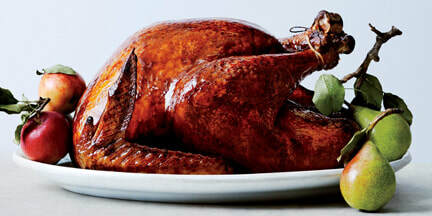 We'll roast a turkey if you will provide the accompanying side dishes. Sign up is in the Social Hall. 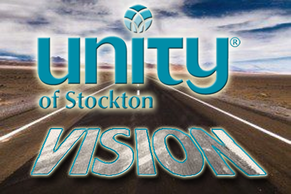 Would you like to have your photo and/or contact information included in a Unity of Stockton Community ​Directory? ​Former Congregant & Fellow Unitic Tim Ford (photographer) has graciously volunteered his services. ​(not a screenshot or cropped version) is submitted. October 28, 2018 ~ 12:15 - 2:15 P.M.
​Final Class for "Lessons in Truth"
"Spiritual Gifts; Unity of the Spirit"
What is the Board up to these days? How are we making a difference in the world, in our community, in our lives? What are our financials looking like? What is in the works for our future? What would you like to see for us all? Dr. Kathleen Dixon received special permission by the John of God Entities to own a crystal bed. She recently traveled to the Casa de Dom Inacio (John of God's Healing Center - House of St. Ignatius) to be with John of God, learn the Case protocol, and purchase her crystal bed. Her intention was set to assist people with spiritual evolvement with this sacred healing tool. Spiritual Cinema at Unity ~ "Come Sunday"
Evangelist Carlton Pearson is ostracized by his church for preaching that there is no Hell. It's the moving story of Bishop Carlton Pearson's personal journey from leading a religious congregation to being labeled a heretic. Based on an episode of the public radio series This American Life. He was a rising star among evangelicals until he was declared a heretic after he started preaching that there is no Hell. ​Love Offering is appreciated. No one turned away due to lack of funds. Popcorn and snacks provided. Please feel free to bring a snack to share, if you wish. Register with Unity of Stockton ASAP to reserve your space. Carpool leaves Unity of Stockton 4:00. Temple Etiquette: Shoes are to be removed before entering temple. The Temple provides head coverings for men and women; hats, scarves or shawls are acceptable. Seating is on the floor (chairs provided if needed). Dress modestly. Long sleeves and pants or long skirts recommended. During program, please refrain from applause. No smoking, no alcohol and no drugs anywhere in or around the Temple. 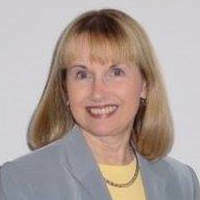 ​Local attorney, June Jantz, will explain Estate Planning, Wills, Trusts, etc.. and how to save thousands in legal fees. 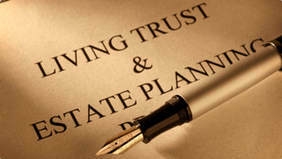 She will discuss Revocable Trusts, Wills, Probate, Durable Powers of Attorney and Advance Health Care Directives. Bring your questions. Facilitated by Israel Hurtado & Sheila Johnson. Join us for this family community event. 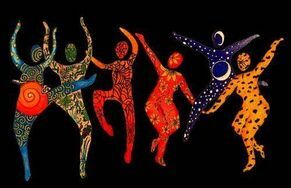 We will have a fun time creating community in a very unique way through laughing yoga, coloring, and many more intuitive ways to deepen and connect with that place of light and love. This will be an opportunity for you to share the compassion and love and let your gifts express. 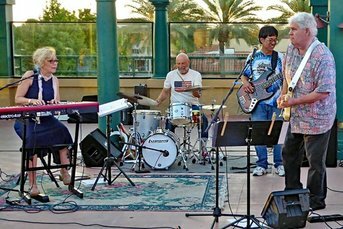 ​Carpool Leaves Unity Stockton 5:00 p.m. for each concert. ​Free CD give aways, laughter, and empowering Positive Music! Come spend an evening in creativity and joy. These faith based musicians join together in a unique musical conversation. Each concert is full of "one of a kind" magic! Artists perform in a round robin format, engaging in banter, sharing how songs were written, and creating impromptu arrangements. Family and friends from New York to California will be gathering to celebrate the life of our beloved friend, Christian Bain. You are invited to join and share your experiences with Christian. Coffee & cake following. Spiritual Cinema at Unity ~ "Resurrection"
Edna (Ellen Burstyn) has a near-death experience when she and her husband drive off a cliff. Widowed and paralyzed, Edna returns to Kansas with her grandparents, noticing the curious effect her touch has on a girl's bleeding nose along the way. Her gift for healing people attracts the attention of a small-town community, including a young man (Sam Shepard) who becomes her lover. An agnostic herself despite her powers, Edna finds her lover has a dangerous obsession with religion. Ellen Burstyn delivers a tour-de-force performance as a woman who experiences clinical death and returns to life with the amazing ability to heal others. Attributing her powers to human love rather than divine intervention, she begins to aid the residents of her childhood town. Powder is a 1995 film starring Sean Patrick Flanery as Jeremy "Powder" Reed, a blindingly white, bald albino boy born with supernatural powers. Powder's mother had died during pregnancy and his father had disowned him, so his grandparents cared for him instead, keeping him in the basement with nothing but books for solace. CPS agents take Powder from his home to bring him into the outside world after his grandfather was discovered dead. 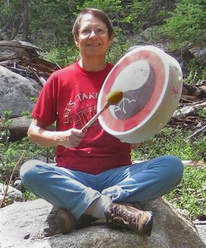 Joy is a Reiki master and has been exploring the shamanic and Reiki connections to spirit through drumming. 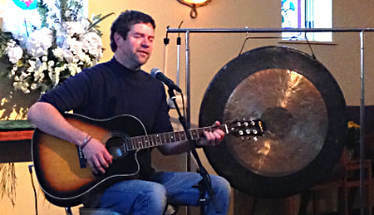 "I’m learning so many exciting ways to bring music into our uplifting and healing community. We will open with a Sound Bath to clear our energy and prepare us for an inspiriting evening. 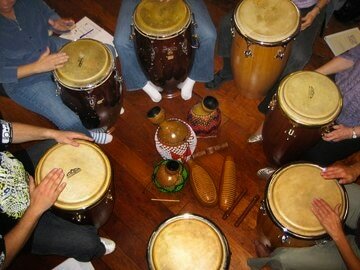 We'll drum as a group and then I will lead us in a guided meditation. Bring a drum or other instrument if you'd like. 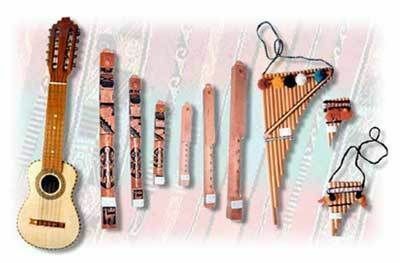 Flutes, guitars, didgeridoos (and more!) sound wonderful in this environment too. We have lots of extra drums and percussion that you can use for the evening. Camp Out / B&B / Meditation / Drum Circle ~ Events are in the planning stages. Sign up @ Unity of Stockton for inclusion in planning to participate in a fun, inspiring, spiritual trip as we experience the high vibrational energy of Mt. Shasta. See Blog Page for more information as it develops. ​Our friend, Dave Becker, moved to his dream home with his love, Esther, to live in full view of Mount Shasta. They have invited us to visit and share their adventure at their alternative energy home. 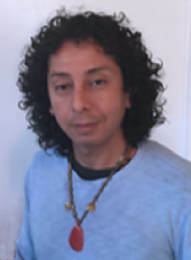 Shaman Healer Israel Hurtado leads you into a deep, relaxing, healing meditation with drumming. ​Bring your own if drum, if you have one. If not, drums are available for you to use. Happy National Friendship Day! Bring a friend. In 1935, the first Sunday of August was declared a US holiday by Congress in honor of friends. ​In 1998 Winnie the Pooh was named the world’s Ambassador of Friendship at the United Nations. Celebrate Friendship Day with your Unity Friends. Share your favorite dish to honor your friends and celebrate August birthdays, too! For all who wish to learn more about prayer, including but not limited to, current prayer chaplains and future prospective prayer chaplains. $375 includes workshop Friday evening through Sunday midday, a private room for 2 nights, the beautiful grounds at Mercy Center and food from Friday evening through Sunday departure. We will have our own Unity service at Mercy Center on Sunday morning. 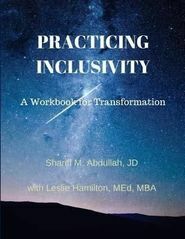 There is also a workbook required which is $30. Unity of Stockton may have copies for loan. 10 spaces available. Please RSVP immediately to reserve your spot in person at Unity of Stockton, 2027 W. March Lane, Suite 6, Stockton, CA 95207, office@unityofstockton.com, or phone at (209) 466-5569. A deposit of $125 will guarantee space at the retreat with the balance of $250 due on July 1, 2018. The $125 deposit is refundable up util June 15th. Checks payable to Unity Church of San Francisco. Join DeeAnn Weir Morency for a truly Transformational Prayer Retreat at the beautiful Sisters of Mercy Center. ​ "Our Spirit, Our Story"
Purpose: A gathering on Sheila's dock to meditate and reconnect with the Divine Source within. We are perceiving the world as being out of alignment. We take a journey inward to recognize the part we are contributing to what we see outside. We look inside to reconnect with our Higher Holy Spirit Self. Divinity within brings awareness. We remember the light soul within us and realign ourselves as whole beings. Then share our potluck afterwards. Please bring a dish to share. If you know and love a certain type of meditation and would like to see it happen on a Sunday morning, let us know. And if you might volunteer to lead a Sunday morning meditation,​we would welcome that too! ​Sylvia Barnhart coordinates this venture, she's the person to see! ​From Oscar-winning director David Frankel, this thought-provoking drama explores how even the deepest tragedy can reveal moments of beauty, and how the constants of love, time and loss interlock in a life fully lived. 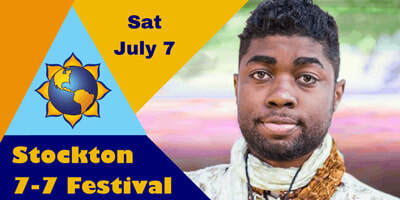 ​What's at the Stockton 7-7 Festival? 15 Free Talks, 30 Psychics, Mediums, Clairvoyants, Angel Communicators, Tarot Readers, Ghost-Busters, the John of God Crystal Light Bed, Holistic Health Practitioners, Aura Readers, Crystals, Musicians, Healers, Aromatherapy & More. Dennis Alsop, Hypnotherapist, Spiritual Coach, Is offering a workshop to help us recognize and develop the abilities we already have as spiritual beings and How to use them to help ourselves and others awaken to a greater truth. 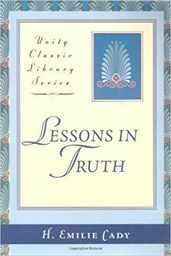 This workshop corresponds with chapter 11 in the Lessons in Truth book, "Spiritual Gifts", but in a workshop format based on Dennis' own work and others like Dean Radin and Charles Tart. $10 Suggested Love Offering is Appreciated. This is a 6-Part Monthly Series, with Rev. 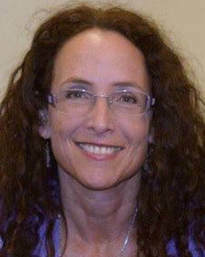 Dr. Gail Derin. If you know and love a certain type of meditation and would like to see it happen on a Sunday morning, let us know. If you might volunteer to lead a Sunday morning meditation, ​we would welcome that too! Special Summer Solstice/Full Moon Drum Circle Guided Meditation & Potluck with Israel Hurtado. There will be a few extra drums available. No drumming experience necessary; on 5-Mile Slough, Private Dock of Sheila Johnson. 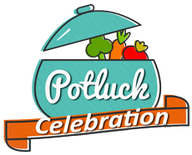 Potluck/Barbecue at 7:00 Hamburgers, Veggie Burgers with Drumming starting at 8:00. 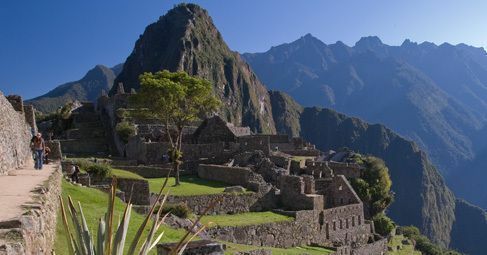 We will hold a sacred fire ceremony to access the sacred fire in your heart. $10 Suggested Donation No one turned away for lack of funds. a special Drumming Meditation this Sunday morning. If you know and love a certain type of meditation and would like to see it happen on a Sunday morning, please let us know. Also, if you would like to volunteer to lead a Sunday morning meditation, we would welcome that too! ​Sylvia Barnhart coordinates this venture; she's the person to see! Martha Creek is a master trainer of individuals and church leaders. 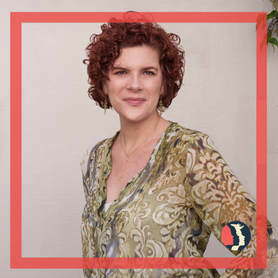 She is a facilitator of "The Work" of Byron Katie, bringing years of experience, wisdom, humor, and a deep commitment to serving others. Love offering of $20 is appreciated. Carpool leaves Unity of Stockton at 8 a.m.
Join in a community of drummers to engender a powerful meditative healing energy. 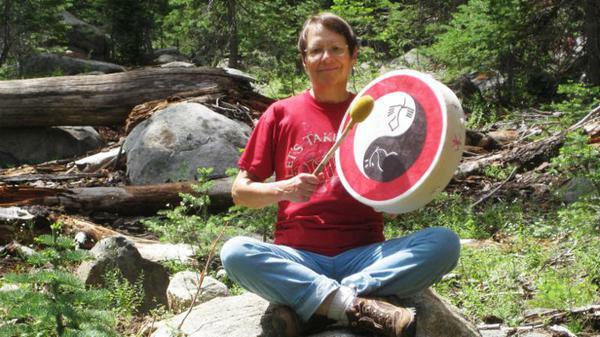 ​Joy Hope is a Reiki master who explores the shamanic and Reiki connections to spirit through drumming. Activate the sacred flame within as you take this journey through the sound vibrations of the alchemy crystal bowls. If you know and love a certain type of meditation and would like to see it happen on a Sunday morning, let us know. And if you might volunteer to lead a Sunday morning meditation, we would welcome that too! Sunday - May 13, 2018 ~ 10:00 - 10:15 A.M.
​we would welcome that too! Sylvia Barnhart coordinates this venture, she's the person to see! Sunday - May 6, 2018 ~ 10:00 - 10:15 A.M.
" Stockton 5-5 Festival "
​What's at the Stockton 5-5 Festival? Sunday - April 29, 2018 ~ 10:00 - 10:15 A.M.
this meditation session from 10:00 - 10:15 a.m. If you know and love a certain type of meditation and would like to see it happen on a Sunday morning, let us know. If you wish to volunteer to lead a Sunday morning meditation, we would welcome that too! Sylvia Barnhart as Coordinator of this venture, is the person to see! A Love Offering is Appreciated. Sunday - April 22, 2018 ~ 11:00 - 4:00 P.M. Please consider volunteering for our Unity of Stockton booth. This is a great way to introduce Unity to our Stockton community. Sunday - April 22, 2018 ~ 10:00 - 10:15 A.M. If you know & love a certain type of meditation and would like to see it happen on a Sunday morning, let us know. If you wish to volunteer to lead a Sunday morning meditation, we would welcome that too! ​We are honored that Erin Ross will be facilitating this meditation session. 10:00 - 10:15 a.m. If you know & love a certain type of meditation and would like to see it happen on a Sunday morning, let us know. And if you might volunteer to lead a Sunday morning meditation, we would welcome that too! Sylvia Barnhart as Coordinator of this venture, is the person to see! Sunday - April 8, 2018 ~ 10:00 - 10:15 A.M.
We are honored that Kalyani & Tom will be facilitating this exciting venture. Kalyani has written a moving song based on anancient healing prayer. She will be singing her new song for meditation, with Tom on crystal bowls. 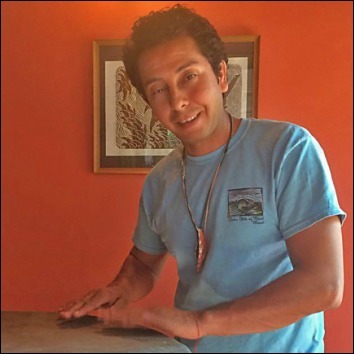 Kalyani will share this ancient healing prayer created in the Nahuatal language, spoken in Mexico. It deals with forgiveness, affection, detachment and liberation. This workshop offers ​a chance for a deeper understanding of the Angelic realm, through guided meditation, sacred dance, Angel drawing, and sacred crafting, you can have your own personal Angel experience. The Diamond Light works with 13 Chakras, bringing in the angelic vibration. This means attuning the Chakras to the angelic light, which brings in the divine feminine energy. 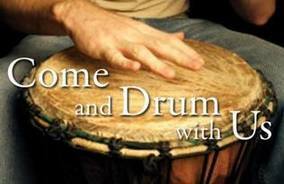 Join Joy in a drum circle as we allow the drums to pull us fully into the present in celebration of the Vernal Equinox of 2018. Bring your own drum if you have one. If not, we have plenty for sharing. .Is there a story you've been longing to tell? Have you been wanting to find your voice? Join Rev. Robyn Plante in this nurturing writing environment for a time of guided relaxation and right-brain writing prompts designed to evoke spiritual memories, insights, and creativity. No experience necessary. Bring your favorite notebook, writing utensil, and a desire for discovery. This Amherst Writers & Artists method will be used. The workshop is structured with a time of introduction to the process, brief meditation, writing segments, and a time of sharing (optional). Cost: $10. For questions or more information, please contact Rev. Robyn at revrobyn7@gmail.com. Class size limited to 12. Rev. 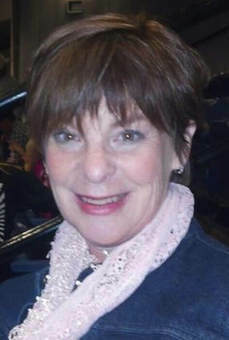 Robyn Plante, M.Div., is senior minister at Unity Center of Davis. Experience a different type of meditation every Sunday, and by a different facilitator each week. with his "Love" Inspired meditation session. 10:00 - 10:15 a.m. If you know & love a certain type of meditation and would like to see it happen on a Sunday morning, let us know. Also, if you wish to lead a Sunday morning meditation, we would welcome that too! Sylvia Barnhart as Coordinator of this venture, is the person to see! A Love Offering is Appreciated. Unleash the Guru in You! Join us in experiencing deep relaxation and exploring trance-formational states of awareness beyond the ego-conscious mind where all manner of higher wisdom, insight and intuition become available to help guide us toward true health, happiness, and an enlightened sense of being. Bring a journal or notebook to write in, and items to lie comfortably on the floor (pillows/blankets/yoga mats, etc...) Cost $20 - Scholarships available. 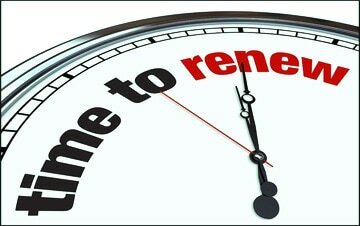 Membership provides the benefits of helping decide important issues of the direction, vision, mission of our spiritual community such as financial decisions, board elections, becoming a personal Prayer Chaplain and contributing to Unity World Wide Ministries at large are but a few of the benefits. It is not required that members sever ties with any previous religious affiliations; it is our hope that Unity Membership enhances your continuing spiritual journey. by a different facilitator each week. facilitate our Sunday Morning Meditation. let us know you wish to volunteer. We welcome you! 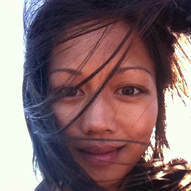 ​Normalynn Ablao is a world traveler, K-12 teacher, boxing coach, Reiki Master & Theta Practitioner. ​"My passion is a deep, intense, self-realization enhances my light energy healing work as a part of the collective consciousness for an enlightened world." 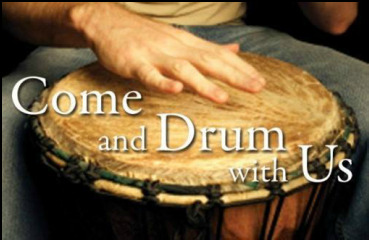 facilitate with a Special Drumming Meditation. ​Bring your own if you have one. If not, drums are available for you to use. We want to hear from you. Let your voice be heard. ​We want to know what you would like to see in our Unity community's future. Our Annual Valentine Potluck & Congregation Meeting will take place after service. New Board Members will be voted into office. We will review of our previous year's finances and discuss upcoming projects. facilitate with a our Sunday Morning Meditation. Gayla will show you how to not be bothered by "thoughts", how to meditate and free yourself from all those encumbrances that boil up like steam from a kettle. You can do it anywhere, any time. Come join us and learn this marvelous technique that will help you improve your life, feel more connected with the Divine, and create shortcuts to the solutions that you need for your everyday life. Suggested $10 love offering is appreciated. facilitate with our Sunday Morning Meditation. of the subconscious and Superconscious minds. stop being a victim, and create the life you desire and deserve. and be ready to enjoy a relaxing and enlightening experience. facilitate with a "Releasinga' Meditation. Let’s take this opportunity in the safety of the circle to explore the direction each of us will be taking in this new year cycle. Join us as we delve into the realm of numbers and how their influence impacts us on a daily basis. Darius will show you the qualities and personalities of each number and how their energies affect your choices, the people you meet, and your circumstances in life. 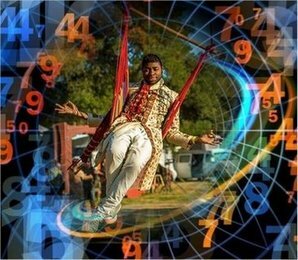 ​in a practical and joyful way.You will enjoy the experience of learning how the vibrations of these numbers have affected your relationships, your career choices, and have shaped and formed your destiny and life purpose. Know upcoming trends in advance, when you can take risks, when to look for love and career opportunities, start projects, and leave situations that are no longer serving you. $10 suggested love offering for class. 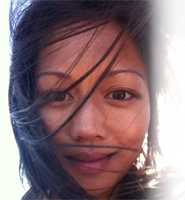 Normalynn Ablao is a world traveler, K-12 teacher, boxing coach, Reiki Master & Theta Practitioner. 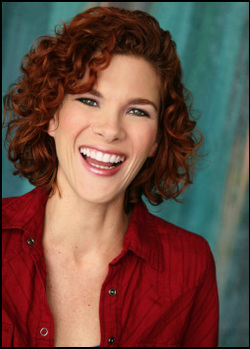 See her YouTube videos @ "nouzarbus"
facilitate with a Unity Participation Meditation. Relax in the beautiful soundscape of chakra tuned crystal singing bowls with angelic sounds of the steel tongue drum. cellular level in the body that is held in cellular memory. and to get comfortable within your space. Offerings of $15-$35 sliding scale are encouraged for healing session. Meditation / Library / Reading Room. ​@ 10:30 and Social Hour @ 11:30 AM. Darius Oliver reveals your super power & show you how you can best apply it in your life. He recommends what areas need more attention than others. 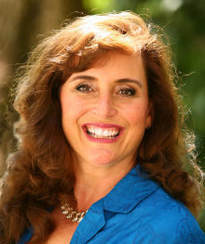 Jessica Gillenwater uses Angelic Reiki to send healing energy where it is needed. She shares any information received during the healing. We'll serve ham, coffee, tea, water. Will you bring side dishes? Please join us in celebration of Christmas ​with our Unity family. Are you ready to manifest your dream life? ​We will start the day with a guided meditation to let go of limiting beliefs and blocks. We will then select photos from magazines that depict the life we want to create for ourselves. 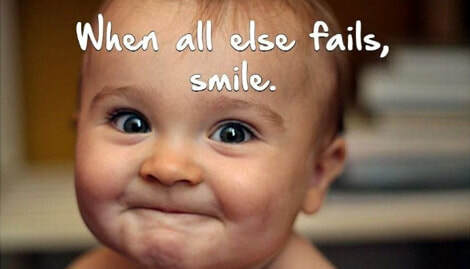 ​and the willingness to accept that which you desire and deserve. A Love Offering of $15 Is Appreciated. If you've been wondering what Unity is all about, now is your chance to find out. ​DeeAnn shares New Thought, Transcendentalism, and Unity history, bringing it forward to Unity metaphysical ideas in this current day and time, as written by current Unity authors. 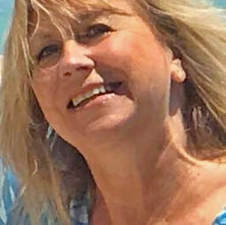 The history also covers the differences between Unity and Centers for Spiritual Living and Religious Science, according to her training at Michael Beckwith's Agape Center in San Diego. facilitate with a "Healing Through Love" meditation. and understand your own essence. All are welcome to attend and observe. Limited to 6 people for hands-on exercises. facilitate with a Tai Chi method of meditation. 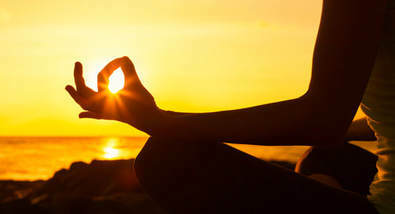 ​What is Spiritual Response Therapy or SRT? This class will provide an overview of how it works. We've all had many lives before. All of our experiences both positive and negative, pacts we've made, and soul records are stored in our akashic records. With Spiritual Response Therapy, we tap into the records stored in our DNA, brain, and soul. By doing so we rewire ourselves for success. We can get to the root of problems whether they are physical, spiritual, or emotional. Though we may have chosen specific trials in the past, free will to change our present and our future. SRT uses a pendulum and charts in combination with intuition and often messages from higher self. We'll bring the turkey, coffee, tea, water if you'll bring a side dish! Sunday morning meditation. We welcome you! Dat will explain the concept of energy hand symbols (aka seals or mudras) and how they can quickly activate specific energy flow. 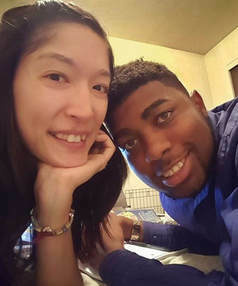 Dat On is an acupuncturist and founder of Serendipity Clinic of Stockton. 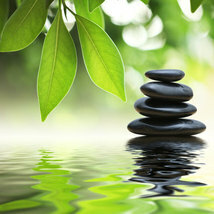 ​herbal medicine, qigong, and meditation. 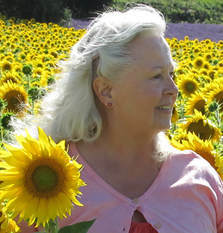 ​Joy Hope is a Reiki master. 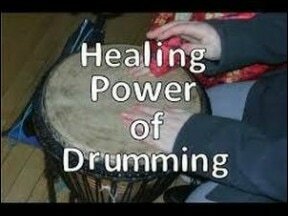 She explores shamanic and Reiki connections to spirit through drumming. Are you seeing Painted Rocks Hidden Everywhere? Let's join the nationwide craze of painting & hiding rocks! 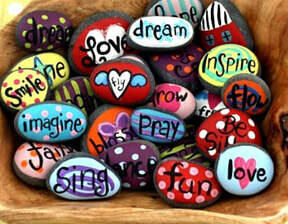 It's your mission to make someone's day in the form of a hand-painted rock given a friendly face or an inspirational message. Of course, you'll then want to anonymously leave the painted stone in a public place (think parks, stores, parking lots, etc) for someone else to find. Please bring own supplies if possible. We will have some to share. What a fun thing to do working together to make Stockton a better place. Town Hall Meeting ~ How do we see Unity of Stockton grow? Class: "Our Spiritual Powers of "Renunciation & Life"
​This is a 7-Part Series on our 12 Spiritual Powers. There is no requirement to attend all 7 sessions, nor any one session. ​(co-founder of Unity). A 7-Part Monthly Series, with Dr. Gail Derin and Sheila Johnson. Unity Village and by Unity Spiritual centers world-wide. If you know & love a certain type of meditation and would like to see it happen on a Sunday morning, let us know if you wish to volunteer to lead a Sunday morning meditation. We welcome you! 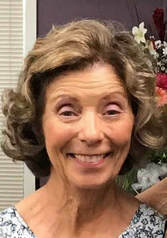 Sylvia Barnhart is Coordinator for this venture! 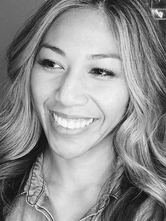 ​Dat On is an acupuncturist and founder of Serendipity Clinic of Stockton. 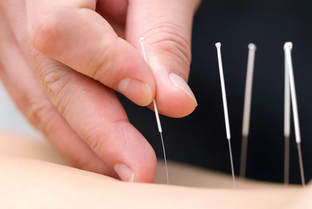 The services we provide are: acupuncture, acupressure, mudra healing, herbal medicine, qigong, and meditation. Please bring your own supplies if possible. We will have some to share. What a fun thing to do; working together to make Stockton a better place. See Stockton Rocks Facebook Page for further information & ideas. Friends of Unity are invited to join Unity leaders in Novato, CA for a reception. Most of us take on the role of victim at least once in a while. Adopting a victim mentality takes away our personal power, it limits our resourcefulness, and it leaves us feeling like we’re not in control of our lives. 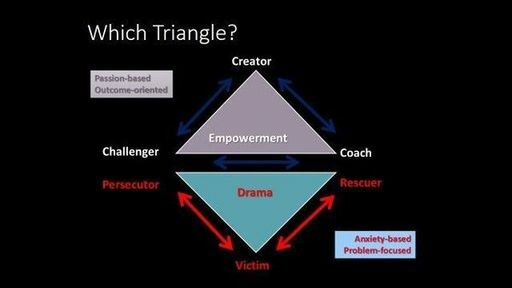 “The Power of TED”, a book written by David Emerald, is about moving from a Victim Orientation to a Creator Orientation. The book sets forth a process for shifting from the disempowering view that you’re being acted upon by forces outside of yourself which you can do nothing about, to the more resourceful world view of seeing yourself as being in the driver’s seat of your life. Reach deeper meditative states of consciousness to connect with your higher self through the beat of the drums. ​from Divine Spirit for healing. "New Earth Expo in Stockton"
Class: Our Spiritual Powers of "Order & Zeal,"
Private readings available beginning 7:00 p.m., after class. First Come, First Served. Private readings begin at 7:00 p.m. after class. First Come, First Served. 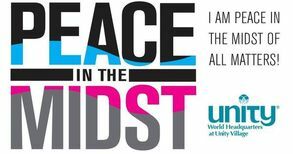 International Day of Peace in Stockton at Unity of Stockton. 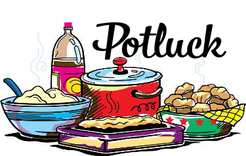 Peace Pot Luck at noon and exciting program at 1:00 PM. ​Debbie Nargi-Brown facilitates exciting music that raises everyone's energy and joy. ​Drumming / Singing / Dancing! ~ Invited to all join in. 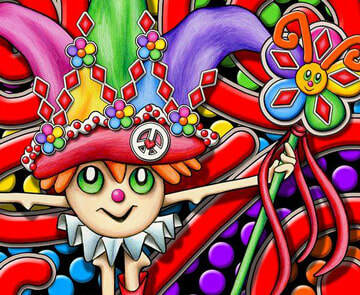 Drum with Joy to Create Inner Joy. 2017 is the beginning of a new 9 year cycle. There have been things still wrapping up and ending the first part of this year. There has also been the glimmer of what this new beginning looks like. Let’s take this opportunity in the safety of the circle to explore the direction each of us will be taking in this cycle. ​Joy is a Reiki master and has been exploring the shamanic and Reiki connections to spirit through drumming. and in Stockton at Unity of Stockton. Use the hashtag #WDOP17 to participate. Fun, Energy exercises through ancient dance. Used in the Orient for thousands of years, promoting radiant health. ​Part of the yoga form of movement, a valuable tool in balancing physical and emotional energy using deep abdominal breathing. Become more familiar with what a relaxed state "really" feels like. The STAR System (Stress Awareness, Release & Reduction). 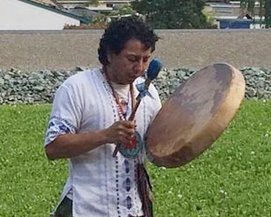 Peruvian Sound Healing Concert on the Delta with Jose Ardiles, visiting the United States from the Andes Mountains. 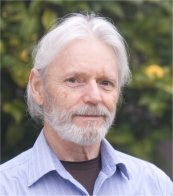 Class: Our Spiritual Powers of "Understanding & Will ,"
Friday, August 25, 2017 from 6 to 7 P.M.
Come learn how you can use your numbers in your everyday life to your advantage, in a practical and joyful way.You will enjoy the experience of learning how the vibrations of these numbers have affected your relationships, your career choices, and have shaped and formed your destiny and life purpose. ​Know upcoming trends in advance, when you can take risks, when to look for love and career opportunities, start projects, and leave situations that are no longer serving you. ​Private readings begin after class @ 7:00 P.M..
more about Are you ready to heal and transform society? ​Are you ready to “Be the Change”? Then, you don’t want to miss this workshop! Rev. 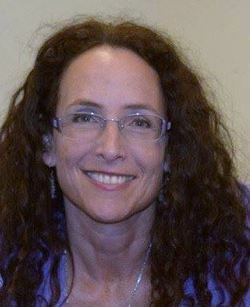 Dinah Chapman presents this workshop to open and transform our hearts to new levels of expanded consciousness and enhance constructive pathways of co-existence in our communities and in our world. Sign up for this transformative workshop to engage in making a society that works for all. ​Fun, Energy exercises through ancient dance. Used in the Orient for thousands of years, promoting radiant health. Part of the yoga form of movement, a valuable tool in balancing physical and emotional energy. Deep abdominal breathing. Become more familiar with what a relaxed state "really" feels like. ​heart, mind, energy, and spirit. ​Individual 1-hour-long appointments beginning at 9:30 through 4:00. Schedule your appointment by calling Unity of Stockton at (209) 466-5569, or email office@unityofstockton.com. 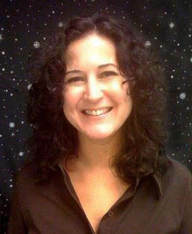 JoAnne is a Jin Shin Jyutsu Practitioner, Reiki Master, & Massage Therapist. Friday, August 11, 2017 ~ 6:30 - 7:30 P.M.
2017 is the beginning of a new 9 year cycle. Things are wrapping up and ending the first part of this year. There has also been a glimmer of what this new beginning looks like. Joy is a Reiki master. 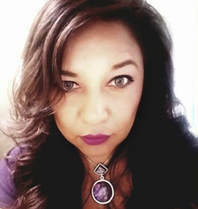 She has explores shamanic and Reiki connections to spirit through drumming and meditation. Class: "Our Spiritual Powers of Mastery & Imagination,"
There is still time to join. Class #4 of a 7-Part Series on our 12 Spiritual Powers. There is no requirement to attend all 7 sessions. Delving Deeper into how we use our 12 powers to live a more abundant and joy-filled life, according to Charles Fillmore (co-founder of Unity). A 7-Part Monthly Series, with Dr. Gail Derin and Sheila Johnson. Tuesday, July 11, 2017 ~ 5:30 P.M.
Sunday, July 2, 2017 ~ 9:45 A.M.
"Sound Healing Meditation with Crystal Bowls: Kalyani & Tom"
Satuday, July 1, 2017 ~ 7:00 - 8:30 P.M.
"An Evening Medatative Concert on 5-Mile Slough"
through healing song, group chant and meditation. to understand the Truth within our 'Inner Self' through song. 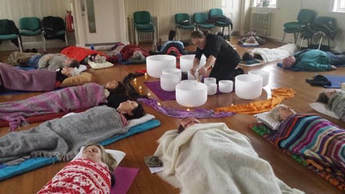 ​through healing crystal bowls, group chant and meditation. 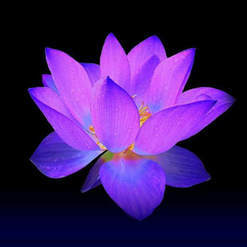 ​Join Sylvia Barnhart for our first Sunday morning mediation in our newly established Meditation / Library / Reading Room. Friday, June 23 & 30 / 5:00-6:00 p.m. / PRIVATE READINGS begin @ 6:30 P.M.
Raffle Giveaway Too! Free Numerology Session! 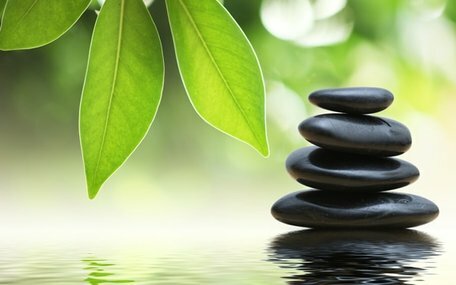 ​Private readings begin after class @ 6:30 P.M..
Sunday - June 4, 2017 ~ 12:30 - 1:15 P.M.
"Rebalancing Your Nervous System for Peace of Mind and Health"
You are invited to a 45-minute introduction for $10.00 to experience an effective, simple method of rebalancing your nervous system and creating integration of your brain. The more moments that we cultivate in balance and deep rest allows our body’s innate healing ability to emerge. This is the essential first step to restore the body's innate ability to heal itself. A quiet nervous system helps to build resilience in the body, emotions and the brain. This is a unique approach which includes: an effective and simple breathing technique, present moment awareness, and an understanding of the impact on stress on all levels of our experience. Friday - May 26, 2017 ~ 6:30 - 7:30 P.M. Please call Unity at (209) 466-5569 or email office@unityofstockton.com for address. Reach states of consciousness to connect with your higher self through the beat of the drums. ​and peace, within and without. Potluck after the drumming! Paul and Sylvia will provide roasted chicken.Bring a side dish or dessert if you like. Sunday - May 21, 2017 ~ 11:30 a.m. - 2:30 P.M.
Come help us celebrate our completed expansion construction. It's now ready for viewing! We are so thrilled! Live Music with the Stephanie D Quartet and Aubrey Scarbrough! 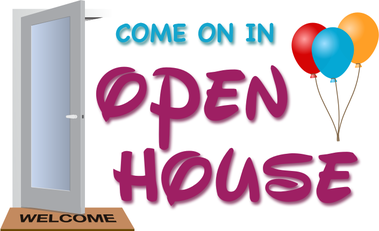 We invite you to our Open House Party. Come join the festivities, and see what all this excitement is about! Sunday - May 7, 2017 ~ 12:00 - 2:30 P.M. Welcome back! Lunch with Jimmy Moreno directly following his Sunday morning talk! He is still part of our Unity of Stockton family! And he is only in town a couple days. April 30, 2017 Following gathering from 12:15 - 2:15 P.M. The Twelve Powers Trailer from James Twyman on Vimeo. "Twelve Powers Movie, "A Sound Called Unity"
​The Twelve Powers documentary follows James Twyman and a group of Jewish rabbis, Muslim imans and Christian ministers as they travel to a hill overlooking a Syrian village held by ISIS. Millions of people participated in a worldwide synchronized meditation that day as prayers were shared from the three religions, as well as from The Twelve Powers. NY Times bestselling author James Twyman will host a world premier screening of a new feature documentary called The Twelve Powers. The film, based on Charles Fillmore's classic book, is the first in a series of three documentaries entitled A Sound Called Unity, all of which are based on the primary teachings of the Unity spiritual movement founded by Fillmore and his wife Myrtle in 1889. The second film, to be released at the end of 2017, is based on Five Basic Principles of Unity. Private readings begin at 11:30 a.m. after class. ​First Come, First Served. ​Raffle Giveaway Too! Free Numerology Session! 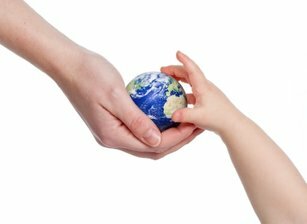 Sunday - April 23, 2017 ~ 11:00 - 4:00 P.M.
Friday - April 21, 2017 ~ 6:30 - 7:30 P.M.
How do we choose to hand over our precious earth to the generations to come? ​Please bring a drum if you have one, there will be extras there if you don't. With Joy Hope of Friends for Peace, a Stockton organization focused on creating opportunities for people of all ages in our community to engage in activities that nurture inner peace. ​Joy invites you to join her to drum the rhythm of your heart’s desire and meditate in celebration of our Mother Earth. 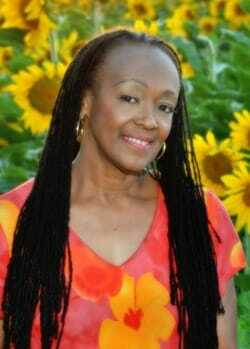 Joy is a peace activist, a musician and a Reiki master. She has studied shamanism, drum circle facilitation, HealthRhythms and Reiki drumming and drummed for Israel Hurtado for several years. From all of this she continues to distill her own style for drum circles with guided meditation. Monday, April 17 - the Last Session ~ 6:30 P.M. Experience journaling as a tool to tap into your inner wisdom. Using a process developed by Candess Campbell, Ph.D., we will explore information stored in our chakras to help heal and guide our lives. ​& Sunday - April 9, 2017 ~ 12:00 - 2:30 P.M..
Friday - April 14, 2017 ~ 6:30 - 7:30 P.M.
Sunday - April 2, 2017 ~ 12:00 - 2:30 P.M.
Based on Sheila Gautreaux’s new book, The Long Journey Home, 7 Steps to Consciousness is a workshop that uses the evolution of the Prodigal Son as a foundation for studying how we have evolved as the dominant species, our connection to each other, our Divine Purpose and how to live our lives with the Divine Guidance of Spiritual Law. 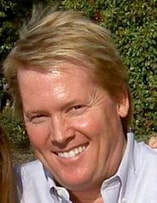 By combining the concepts of Conscious Evolution and the metaphysical message within the Parable of The Prodigal son, participants examine: who we are in relationship to God and each other; the illusion of duality; our Divine Purpose; creating harmony in our lives and in the planet; and what it means to Live Spiritual Law. Bringing together the Bible, A Course In Miracles and Unity Metaphysics, participants discuss, experience and create a new way of living in alignment with all creation in the 21st Century. Participants will apply the 7 Steps to something in their lives for which they wish to see movement or which is calling for a more conscious awareness. $20 Suggested Love Offering. Sunday - March 26, 2017 ~ 12:00 - 1:00 P.M. Private readings available beginning. First Come, First Served. ​Come learn how you can use your numbers in your everyday life to your advantage, in a practical and joyful way. You will enjoy the experience of learning how the vibrations of these numbers have affected your relationships, your career choices, and have shaped and formed your destiny and life purpose. ​​Join us as we delve into the realm of numbers and how their influence impacts us on a daily basis. Darius will show you the qualities and personalities of each number and how their energies affect your choices, the people you meet, and your circumstances in life. $20 suggested love offering for class. Private readings begin at 1:30 p.m. after class. First Come, First Served. Friday - March 24, 2017 ~ 6:30 - 7:30 P.M.
unique. Drumming enables us to connect with our own rhythm and the circle allows us to enjoy our many rhythms together in harmony. Allow us to illuminate the path into your inner landscape so that you can expand your self awareness. 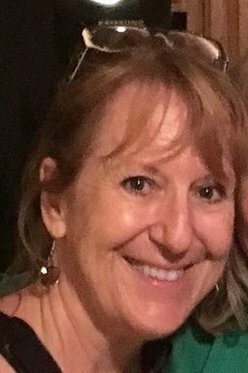 Sunday - March 19, 2017 ~ 12:00 - 2:00 P.M.
From Kathleen: I went to my first Visioning Workshop when I was taking my Soul Coaching training with Denise Linn (Hay House) in 2006. 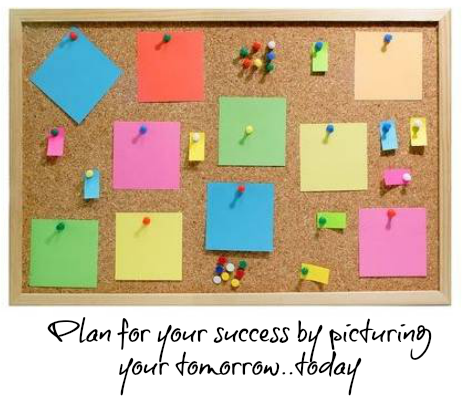 I still have my visioning board, and find that many of the pictures I placed on the board of my desires on many levels have expressed in my life. As a career counselor, I became aware that that many of us do not know what brings us joy, so how can we manifest it. As beings who are a part of God we are all participants in creation, and these pictures can help us create a future where we express joy, prosperity and health. Let’s create a fantastic 2017 and beyond. 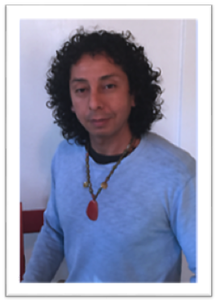 Sunday - February 19, 2017 ~ 12:00 - 1:00 P.M.
About Joy: Joy is a peace activist, a musician and a Reiki master. She has studied shamanism, drum circle facilitation, HealthRhythms and Reiki drumming and drummed for Israel Hurtado for several years. From all of this she continues to distill her own style for drum circles with guided meditation. Tuesday - February 14, 2017 ~ 6:30 - 7:30 P.M.
For this Valentines Day, give yourself the gift of connecting with the love within. What our outer eyes want to see must be seen with our inner eyes. This evening's sound healing meditation will bring awareness to heal the heart and raise our vibrations to that of love. Love is the vibration that we all are, and that which we all have. We must keep that connection to stay in the flow of it. Israel plays the singing bowls while you listen and let yourself be taken to that place of unconditional love. 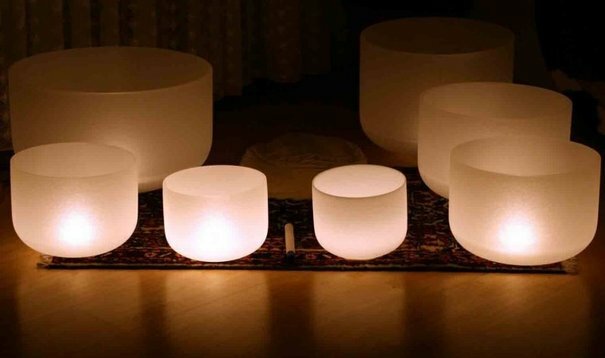 Immerse yourself into the sound healing of the crystal bowls. 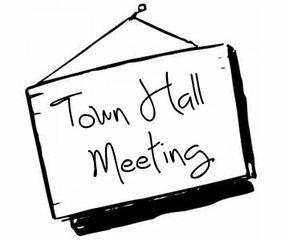 Sunday - February 12, 2017 ~ 12:00 - 1:00 P.M.
Come cast your vote for new board members. ​Must be a member to vote. Receive updates on our Financial Status. Sunday - February 5, 2017 ~ 12:00 - 1:30 P.M. If you've been wondering what Unity is all about, now is your chance to find out. DeeAnn does an awesome job sharing the fascinating New Thought, transcendentalism, and Unity history, and bringing it forward to Unity metaphysical ideas in this current day and time, as written by more current Unity authors. A special highlight and extra bonus is that the history also covers the differences between Unity and Centers for Spiritual Living/Religious Science, according to her training at Michael Beckwith's Agape Center in San Diego. The foundational teachings of Unity are powerful and transformative. Join Rev DeeAnn as we explore Unity's history, Unity's Five Principles, and then open the floor up to your questions. 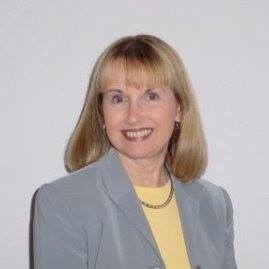 Saturday - January 28, 2017 ~ 10:00 a.M. ~ 6:15 P.m.
Beverly Friend's work of 26 years, involving both Numerology and Spiritual Response Therapy (SRT), gives clarity to a more complete picture of the path that your Soul is on. This understanding brings both peace and clarity to her Clients and gives them powerful, simple, yet profound tools to help them feel better equipped to take control of their lives and enhance their life experience. ​Often, when we have reoccurring patterns, blocks, physical ailments and pain, these can be the result of our unconscious thoughts, words, programs, beliefs and sometimes vows that we have made in this and previous lifetimes. Although we are not fully aware of this consciously, they are made manifest and affect our life experience. Sometimes these manifestations create blocks in our healing and in our ability to move forward with our lives. A natural addition to all the clearing of 2016 with the burning bowl, Israel's sacred drumming, and White Stone/Letter Writing Ceremonies (recent Unity events). Beverly will add what the SPECIFIC energy is for you. This will really make for a purpose-FULL year! In addition to reading your energy, she tells you how to utilize it, both the joys and the potential pitfalls. Appointments are prescheduled in 1-hour increments and are broken down as follows: 30-minute reading; 15 minutes to talk with Bev; an opportunity to win an SRT Clearing, ($135 value) by purchasing raffle tickets which are $1 each or 6 for $5. Winners drawn at the end of the day. You do not need to be present to win, and you do not need to have a Numerology reading to participate. 30 minute readings for $30. 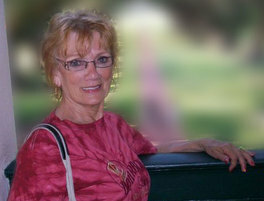 Bev is offering a significant price reduction specifically for Unity participants at this event. Sign up at Unity or call (209) 466-5569 or email office@unityofstockton.com for an appointment time. ​Following @ 12:00 - 1:30 P.M.